It was a friendship that was over. If there was blame to be placed for that, there were multiple places to do it. Some of it belonged to me, some of it belonged to them, which is probably the case with most ended friendships. Rarely does it fall on just one, and if you start to thinking it does, then you're not being honest with yourself. I was at the stage of the healing where you go over every minute of the friendship, thinking of what could have gone differently, if you did right, if you did wrong, if you were right to walk away, if you were unreasonable. I began to realize how strongly manipulation was a part of our friendship. It wasn't until that moment that I had even seen it. I hadn't realized how easily it was to manipulate me, and it's not been something that I have been able to un-see. Guilt trips. Passive Aggression. Self putdowns. They're all things that I've found myself to be really susceptible to, and I cave all the time. Do you have things that you find yourself kowtowing to constantly? Or people? I've been really trying to get away from that. I don't like feeling used. I've been trying to adopt a stronger resolve, and to be more resistant when those aforementioned methods of manipulation are used on me. I feel like people will think that, when I don't cave like I used to, that I've become a harder person, that I don't care, that I'm mean, and I don't like that much, either. But I'm not sorry for becoming stronger, I think it's a good thing. In a roundabout way, it's actually allowed me to be a much better wife and mom, and I can't be sorry for that. I just don't want to be the girl that allows herself to be so manipulated anymore. Don't you allow yourself, either. Folks who use manipulation to make you change who you are aren't really your friends, and you're worth more than that. So true! I need to grow stronger still! Baby steps... I think you've grown a lot stronger in the last couple years, I definitely see it in you. You're much more sure of yourself, or at least you seem so, than you were a few years ago... I'm very proud of you! I agree with you; I don't think manipulation works for anything or anyone; we shouldn't manipulate or kids, husbands, etc. I think in her own way my MIL wanted to manipuate me, have me enjoy the things she did, etc. I never played along with it; I'm sure that's why we didn't have a strong relationship, but I did learn how to not manipulate or treat a daughter-in-law should I be privileged to be a MIL one day. Some friendships are better to go by the wayside I think and I think we learn from each and every one of them. My mom had similar experiences with her stepmom. My stepgrandma was just used to controlling everyone (and I don't even mean that in a mean way, people just let her), and it didn't sit well with her that my mom was not about to let herself be run. I've had similar experiences. It is wonderful when you get to this place of no longer allowing yourself to be manipulated or made to feel guilty. It is a difficult road, though. I've had to put my foot down with family and friends. In the beginning, they were shocked and reacted like I was the devil. Now that time has passed, I think they respect me more. They may not understand (manipulators usually don't) but they do respect me for standing my ground and doing what is right for me. I have lost friendships over this but, when I reflect back, I have to wonder if they were true friendships. Recently, a true friend tried to get me to attend a baby shower. I love these friends but I just did not feel like driving 300 miles (one-way) in a 24-hour period. She asked if I was feeling guilty enough to actually come. My response to her "No, sweetie, I'm not. 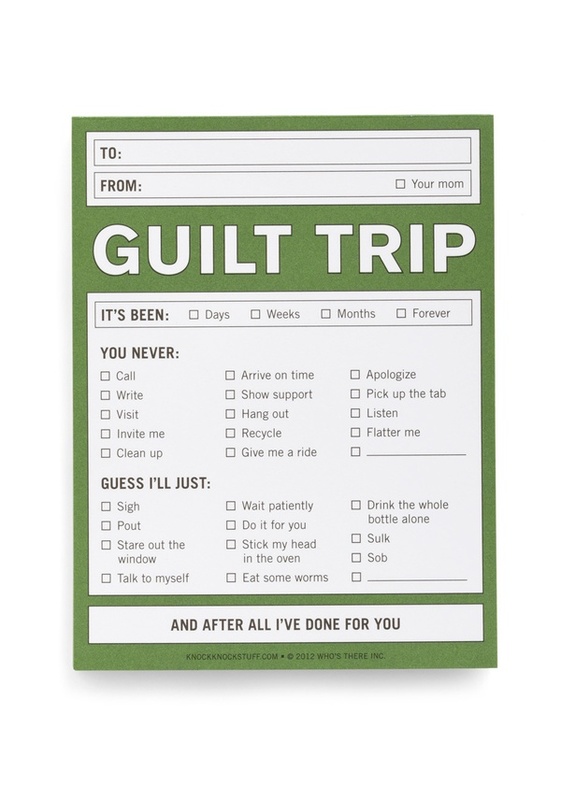 Guilt no longer has a place in my life". Isn't great becoming a stronger woman? This is wonderful... and thank you for posting it. It was exactly what I needed to hear. True friends don't use manipulation so true friends won't notice you have become "harder". Friendship is a two way street and it sounds like you have recognised that. Enjoy your true friendships. How do you keep from being manipulated when it's your child that does it....I should say adult child? ?...and you know it's being done and that it's almost blackmail?? :( I'm sorry... I don't know the answer. I think it's absolutely terrible that's happening to you, and I just want you to know I love you.